Home> Resource> iOS Transfer> How to Transfer Apps to New iPhone 6 Plus or iPhone 6? After switching or upgrading your old iPhone to the latest one, you may face a problem of how to transfer data & apps from the old iPhone to the new one, right? Of course, you can download these apps from App store to iPhone one more time, but obviously it is a waste of time. So lots of iPhone users wish to have a super fast way to help them transfer apps to new iPhone completely, then how to reach it effectively? We know that lots of iPhone assistant tool on the market have claimed that they have the ability to move apps from one to another, and the facts proved that some of them have worked just like they said, but pick up these program are not an easy task when you're facing hundreds of options. And in most situations, these kinds of program always charges of fees. So if you don't want to spend too much time on selecting a proper app transfer program on the Internet, here you can take iTunes into your consideration. As a iPhone novice, you may don't know that iTunes have the function of syncing apps from iTunes to iPhone by sharing the same Apple ID. We know that iTunes can backup iPhone data and restore them with few clicks, so why don't you use the iPhone backup and restore feature to facilitate it? Not a bad idea, right? In this article, we'll show you the detailed steps of transferring apps to new iPhone with iTunes on your Windows or Mac computer, you can follow the steps to move your own apps as you like. Run iTunes, click "Store". Here, you can choose "Authorize this Computer" with your own Apple ID and password. Then click "Authorize" button to finish the authorizing process. Connect your old iPhone to computer and don't do any updates here. When you see the device be shown in the iTunes sidebar, you can right-click the device and select "Transfer Purchases..." to copy all your apps to iTunes for backup. 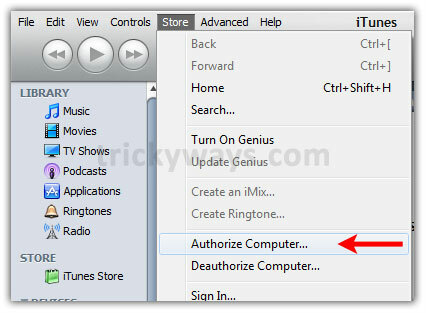 Eject the old iPhone and connect the new iPhone to computer, and make it detected by iTunes. 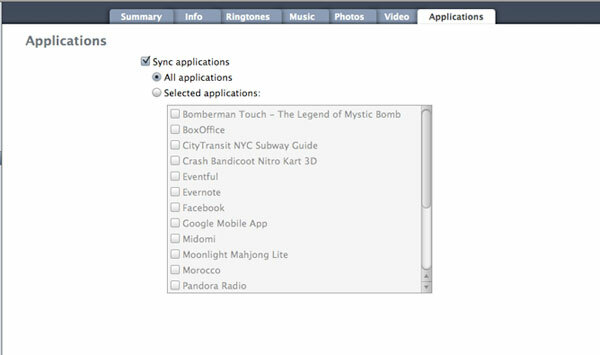 Then you can go to "Applications" tab, and tick the option of "Sync applications" > "All applications" to copy apps to new iPhone completely. If you need to a better way to manage files on your iDevices, you can take a free trial on the best MobiKin Assistant for iOS, and if you need to restore something from iPhone, iPad, or iPod, MobiKin Doctor for iOS can help you lots.